While the topic of commissions is far from being the most exciting one, we managed to create a dichotomy by sneaking in a benefit that is sure to please a lot of our investors! As we have previously mentioned, the Genesis Vision platform was going to start charging a platform commission since the beginning of 2019. Today is the day when this goes into effect. So without further ado, let’s dig in. As you all know, there are several commissions that are already implemented on the platform, namely an entry fee and a manager success fee. Those commissions remain untouched and will stay absolutely the same. And by “the same” we mean that managers are still allowed to select the size of their commission on their own. What changes is that we will be adding platform commissions to keep the platform going. 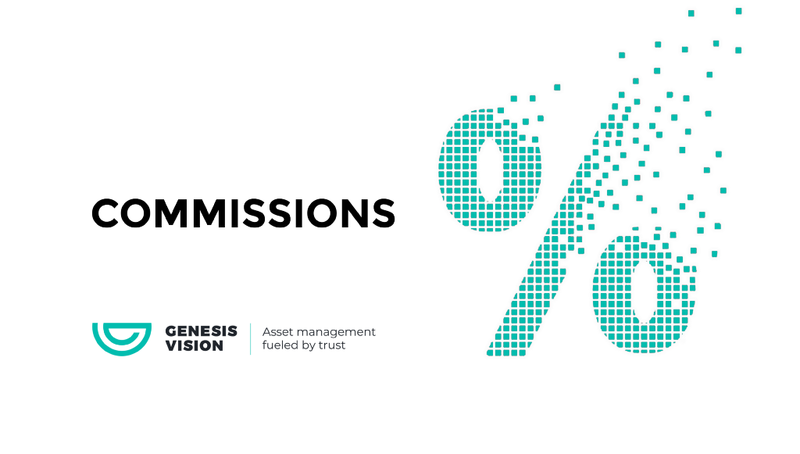 The first commission is a 0.5% investment entry fee. Keep in mind, that it is being applied to ALL of the investment transactions, meaning that all of the investment operations on the platform will be charged this fee. In a case when the application for investment is cancelled, the commission is returned to the investor, meaning that we do not charge a fee if the investor cancels the investment request. Another fee the platform is going to have will be a platform success fee that equals 10%. It is charged at the end of the reporting period from investors only in a case when a manager had a profitable reporting period. This fee is immediately withdrawn from the program with a conversion into GVT. This fee does not apply to investments in GV Funds, where only the 0.5% commission is charged.